He was a naïve dreamer with crazy ideas. He set off to travel the world on a motorcycle and to make money along the way. At the end, he discovered something, which he had never dreamt of looking for. Daniel goes beyond the constraints of a personal, private experience, by filming his adventure. 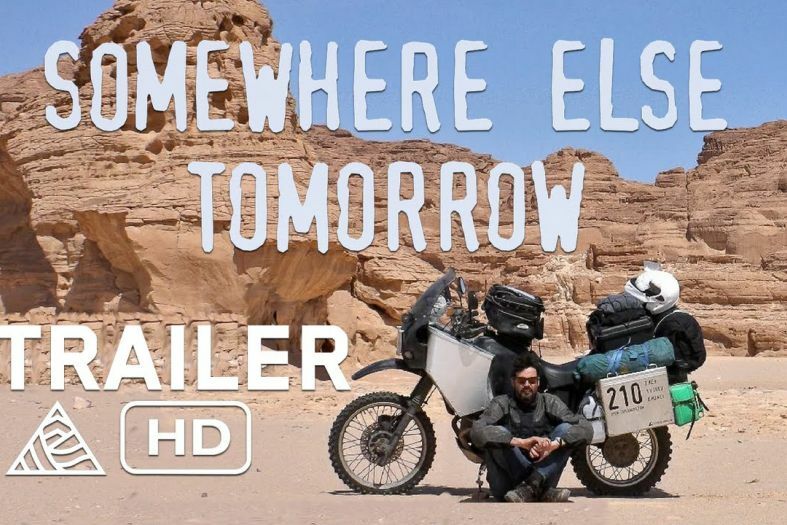 The movie “Somewhere Else Tomorrow” (2013) was a part of the Sofia Middle East North Africa Region Film Festival (MENAR Festival) 2015. – When was the turning point, when you knew that it was time to leave everything behind and go explore the world? – This was not my first long-term journey. Not long after my 20th birthday, I had a fast-growing and well-paid career, expensive hobbies, a girlfriend and so forth. I thought that if I was able to acquire all of this at such a young age, then I would be able to do it later on as well. That’s why I told my boss that I wanted to take one year off and travel. He didn’t like the idea and told me: “I don’t believe you’ll ever come back.” Three years later, while still traveling, I came to terms with what he had said. – Setting off on a journey, without saving up some money first, sounds frightening to most people. What would you say to them? – I too was frightened but I simply had to find out if it was possible. I couldn’t take the thought of working in an office even for one more day. Failure was an option but not trying wasn’t. – What was most challenging? – Mentally – facing the unknown and my fears, as well as getting rid of old habits. Physically it was more about the climate and local cuisine extremities. – Were there any dangerous situations? – An Indian driver forced me off the road and smashed my bike. While I was in Iran, millions of people were protesting on the streets and there were murders as well. My bike broke down only a few weeks after a French tourist had been kidnapped. I got a food poisoning in Tibet, at an altitude of 4000 m. There were times when I was forced to ride on snow or ice and then there were other times when, for months on end, I was stuck in regions where temperatures reached over 45 degrees Celsius. Despite all of this, I have never felt like I was in any real danger. – When was the moment when you discovered that what you have done is really worth it? – There is a moment like that almost every day! The thrill of adventure, constantly meeting fantastic new people and the explorer’s spirit are more important than the hardships. – At the moment, my girlfriend and I are travelling from Alaska to Argentina and are currently in Mexico. We’ve been travelling for nine months already and there will be many more to come. It is fantastic!